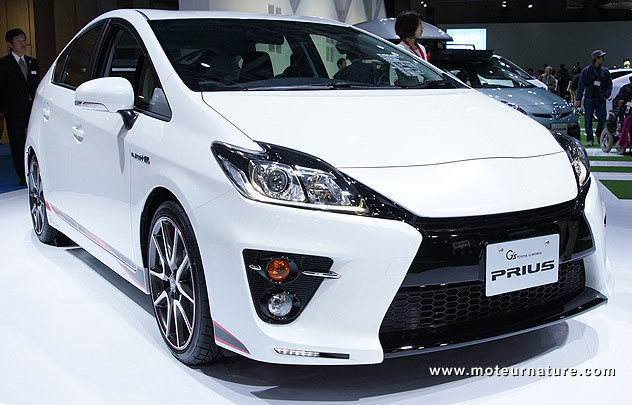 There was one wild-looking Toyota Prius at the Tokyo Auto Salon (a tuning show) earlier this year. It was a concept, which was shown again at the Tokyo motor show 2 weeks ago, save that it wasn’t a concept anymore. It has evolved into a production model. 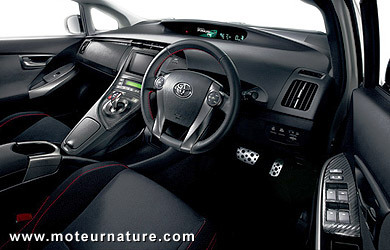 To all those who think the Prius looks bland, they will definitely change their mind looking at this. Many, many things have been changed and upgraded, with the most visible being the removal of the Toyota logo in the front. Name of the car is G S, or G Sports, it has been developed by Gazoo Racing, a team which has already built many Toyota and Lexus race cars. New suspension should give better road feel, but straight line performance will remain the same, as the hybrid drive train is unchanged. Price? 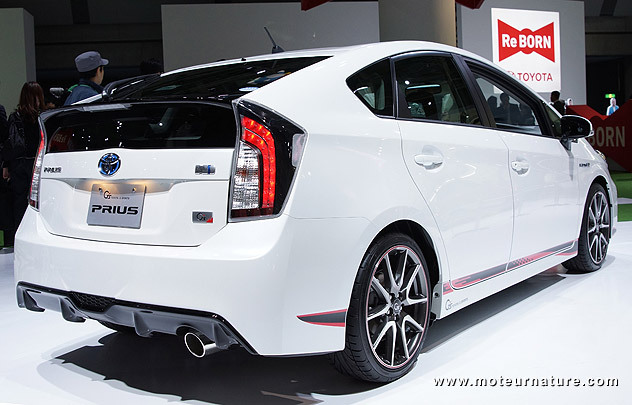 In Japan, the base Toyota Prius sells for 2.17 million yens, whereas this Prius G S is listed at 2.84 million. 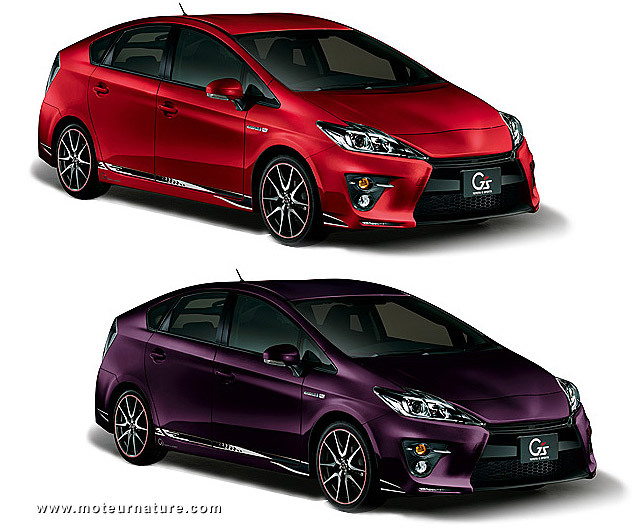 Not many people would like a purple Prius as below, but a green car with more attitude could convince some buyers. How about exporting this wild Prius?